The ATF makes grants to schools to excavate fish ponds and establish fruit and vegetable gardens. This enables the school to supplement the children’s diet with their own produce. 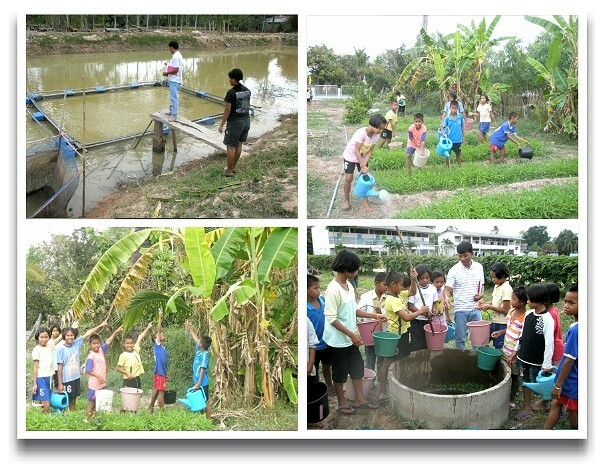 The photos show the highly productive fish pond and kitchen garden at Nikhom II school in Sisaket province. The children are pointing to the bananas they have grown.